The straight, thick walls of this bamboo are valuable for timber and other economic uses. Bambusa tulda is an evergreen or deciduous, clump-forming bamboo with stems 6 - 20 metres tall. The thin-walled canes are about 50 - 100mm in diameter with internodes 36 - 60cm long. E. Asia - northern India to Myanmar and Thailand. ]. 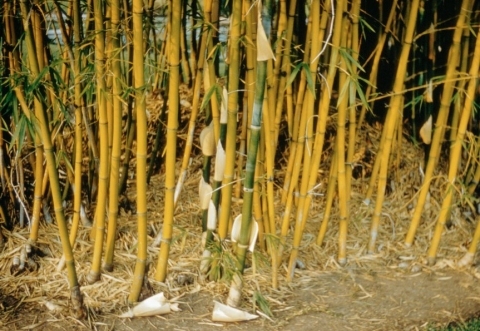 Culms complete their growth within 2 - 3 months after their emergence as shoots, and their diameter and height do not increase as they become older. Young shoots to be used as a vegetable should preferably be harvested while they are still underground. In plantations, selective felling of older culms may start 5 - 7 years after planting. 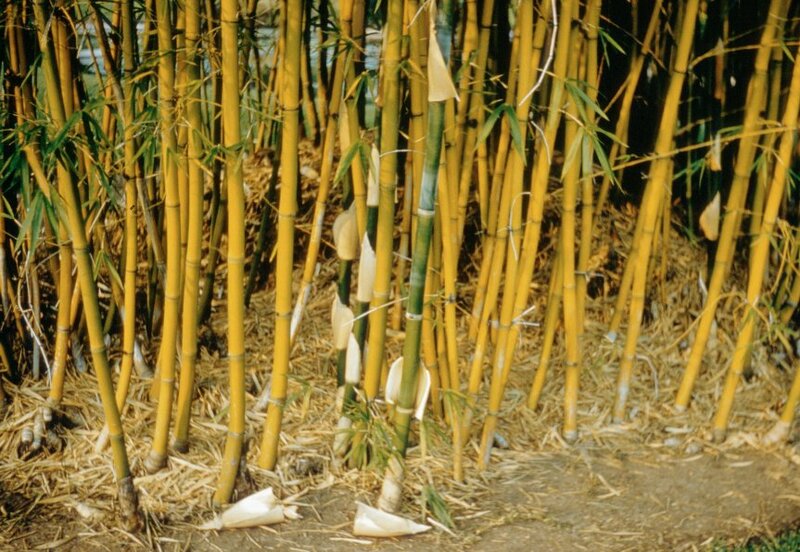 Normally 3 - 4-year-old culms are harvested, retaining at least 3 - 6 evenly spaced culms per clump. A 4-year felling cycle is often adopted. ]. The young shoots are harvested as they emerge from the soil.
] usually takes place fairly quickly so long as the seed is of good quality, though it can take 3 - 6 months. Prick out the seedlings into containers when they are large enough to handle and grow on in a lightly shaded place until large enough to plant out. Plants only flower at intervals of many years and so seed is rarely available.